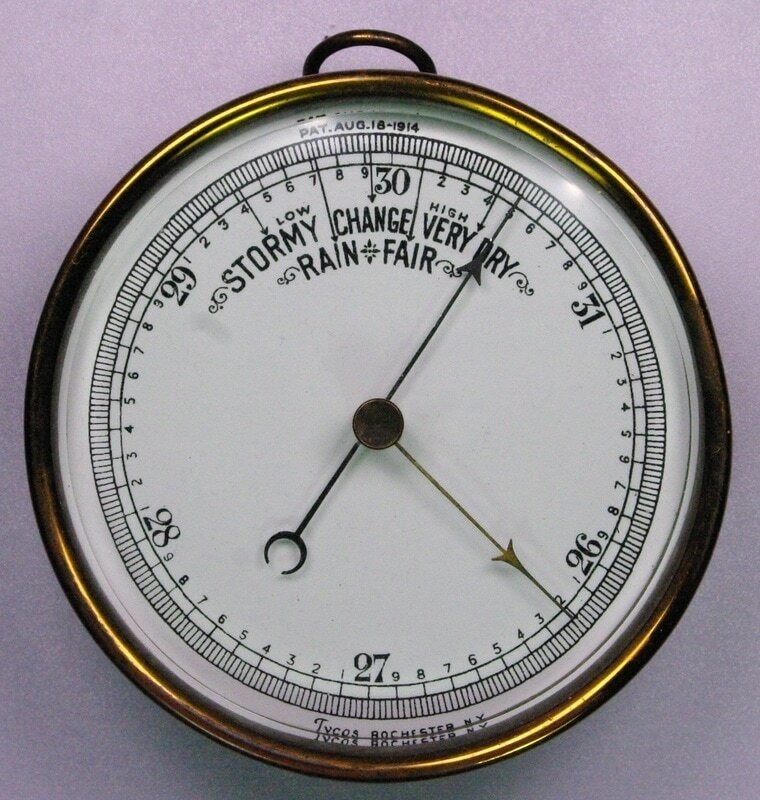 ​This Tycos 2252 barometer was made by Taylor Instruments and was patented in 1914 but continued to be sold in the 1929 and 1930 catalogs. It has a 4.75 inch dial. It has a second dial on the back to set the elevation up to 3,500 feet so that sea level pressure is automatically displayed. A separate version was sold for 3,500 to 7,000 feet. 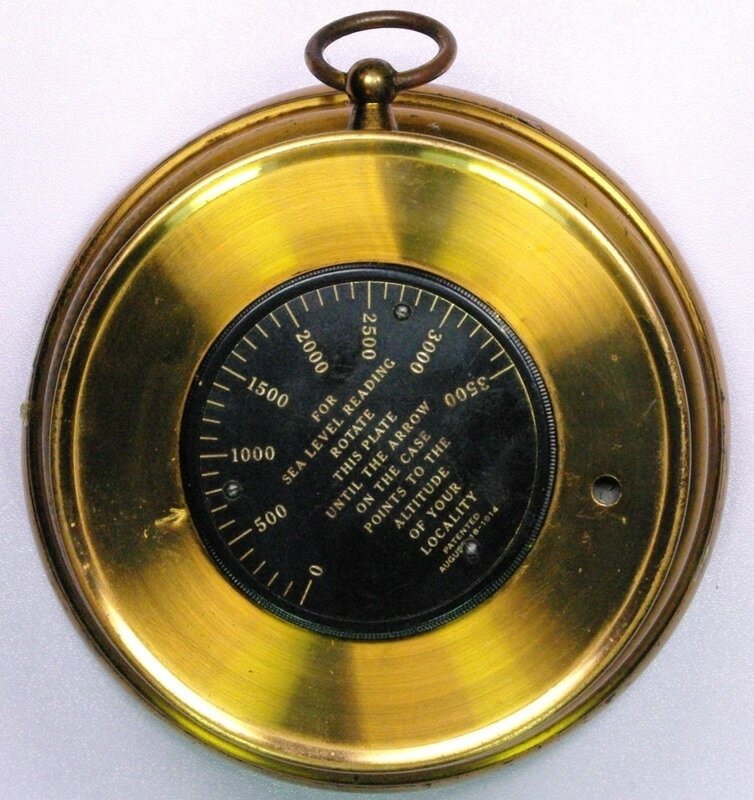 Around this time Taylor was switching to its 'Stormoguide' dial for its home barometers.